Green Evangelist is the official supporting partner for Asia Sustainability Reporting Summit 2017. ASRS is Asia’s first regional conference dedicated to sustainability reporting dialogue. The Summit creates a powerful platform for the reporting community to discuss new trends, techniques, common challenges, solutions and success stories. 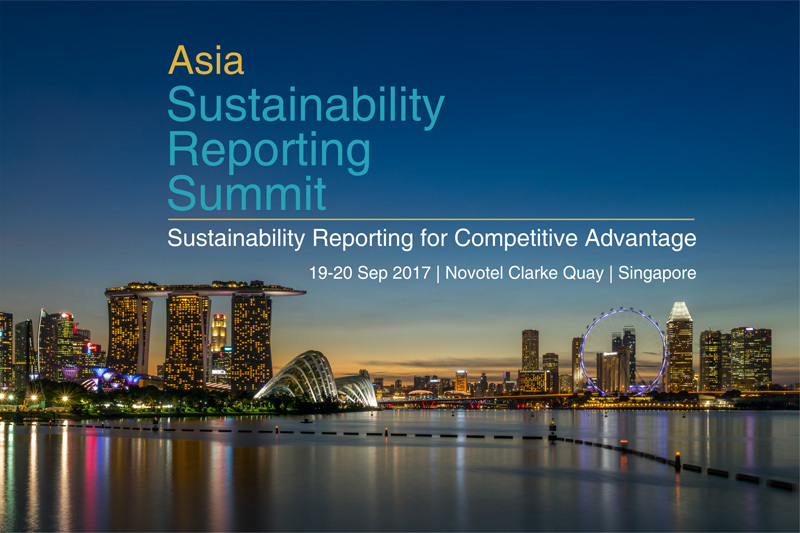 Created by CSRWorks International, Singapore’s leading sustainability consulting firm, the Summit aims to be Asia’s most engaging conversation on sustainability reporting.